GoodFirms has featured the leaders among the top WordPress development companies who are known for building successful web appearance for their client. WASHINGTON, WASHINGTON DC, UNITED STATES, April 1, 2019 /EINPresswire.com/ -- To have an online presence first, and foremost thing you need do is build an e-commerce site. If you were searching out for the best platform, you might come across WordPress which is quite popular amongst the entrepreneurs to create an innovative and effectual site for the businesses. WordPress is the fastest growing CMS with n number of friendly features that can drag and drop, editing, publishing, and much other functionality. Many of the business owners are looking for exceptional WordPress developers that can help them to put up an extraordinary site to sell their products and services globally. But the entrepreneurs are facing a dilemma in choosing a highly skilled and experienced company as there are many of them claiming to be best. 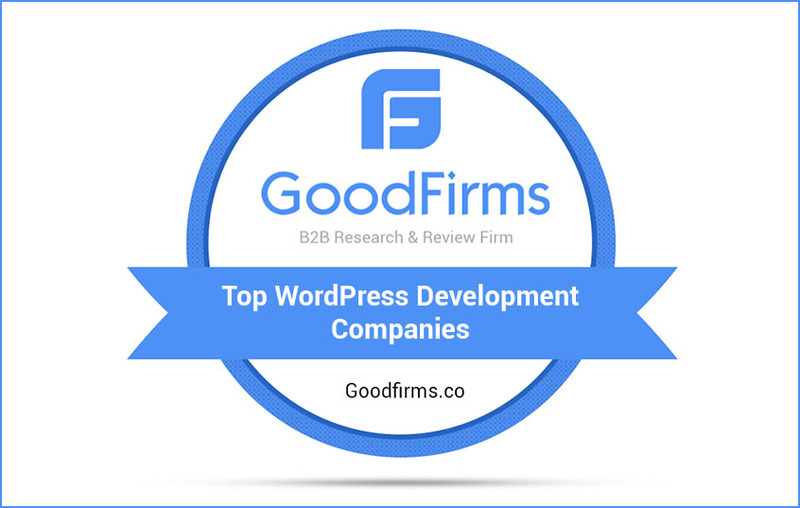 Therefore, GoodFirms has published the list of Top WordPress Development Companies that are listed based on genuine ratings and reviews. Shopify is also one of the favourite platforms of business owners. With the help of this, you can create and customise your online store to grow and manage your business. At GoodFirms, you can reach the handpicked list full of Top Shopify Development Companies that provides an optimal solution as per their project needs. B2B research, ratings, and reviews platform GoodFirms endeavours to associate the service seekers with the most excellent companies from across the world. The analyst team of GoodFirms conducts scrupulous research in which each company is evaluated through several methods. It includes three main elements of Quality, Reliability, and Ability. These criteria's integrates with many other metrics such as identifying the past and present portfolio, skills, years of experience in their proficiency, online presence and feedbacks from clients. Considering the above points, every agency is differentiated with each other and points are allotted to each of them. Then according to this, all the firms are indexed in the list of brilliant companies. Moreover, GoodFirms support service providers by asking them to participate in on-going research. Show their integrity and ability to deliver the services to their customers as per their requisites. Hence, grab an opportunity to get listed in the catalogue of top development companies, best software, and varied range of agencies from different segments of industries. Presently, GoodFirms has cultivated the new list of Top UK Web Design Companies to deliver exceptional web designing services to the customers. GoodFirms is a Washington, D.C. based research firm that aligns its efforts in identifying the most prominent and efficient software development companies that deliver results to their clients. GoodFirms research is a confluence of new age consumer reference processes and conventional industry-wide review & rankings that help service seekers leap further and multiply their industry-wide value and credibility.